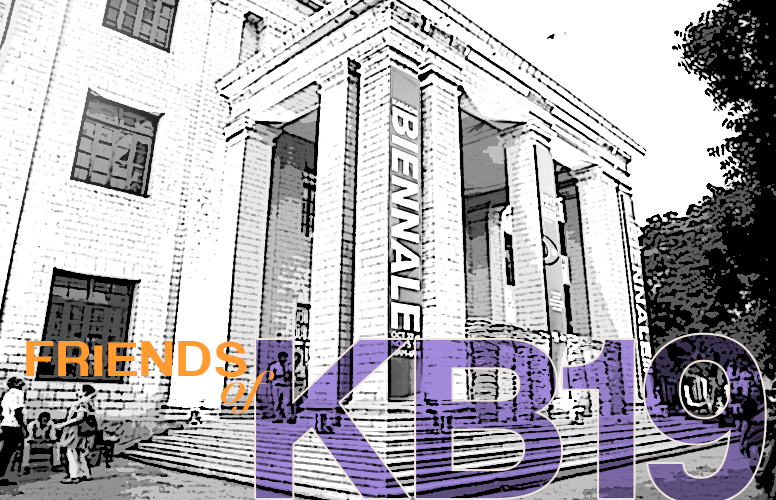 The Karachi Biennale Trust (KBT) was founded, in 2016, by a group of visual art professionals and educators as a dynamic platform to promote creativity, innovation and criticality in the visual arts. KBT -a not-for-profit organization- has remained a citizens’ initiative supported by the corporate sector. It works closely with a network of local and international cultural, educational and philanthropic organizations. 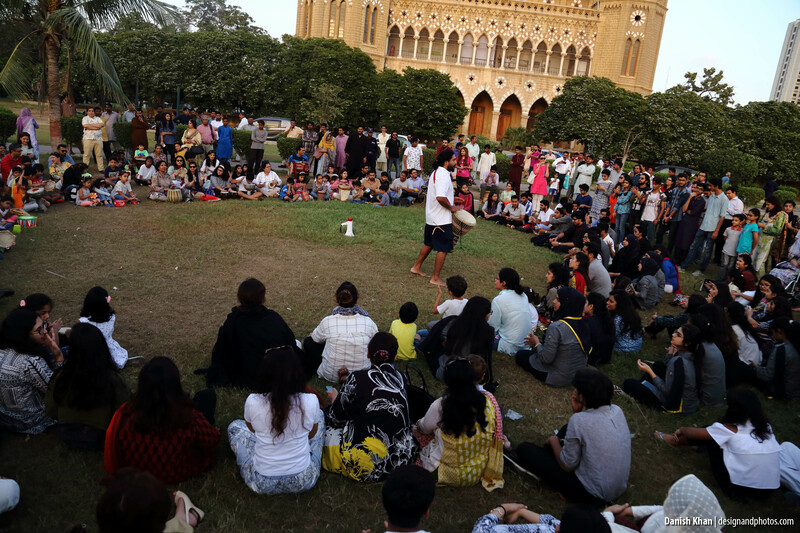 The vision of KBT is to create a public audience for art and its projects offer a chance to revisit Karachi’s past, recognize it’s contemporary challenges and contribute to an optimistic reimagining of its future. 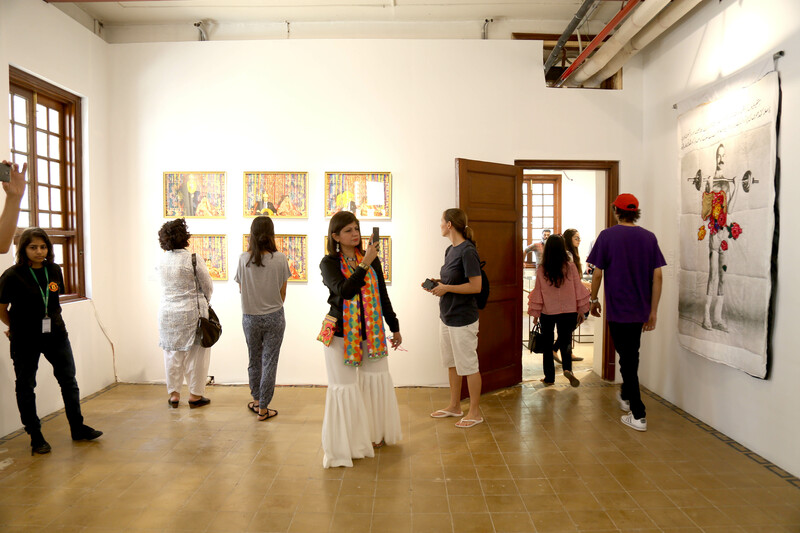 KB has been conceived as an international art forum that penetrates the city with improvised exhibition spaces where innovative art from Pakistan and overseas can be showcased. Educational interventions to engage youth with art, as a transformative experience, is a vital part of the KBT mandate. We believe in discursive exchanges, research and art scholarship to achieve criticality. 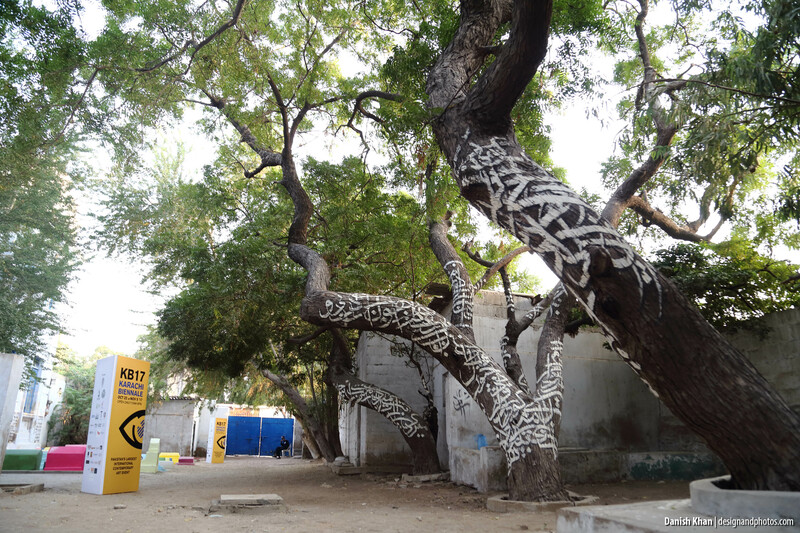 The Trust aims at creating a strong ‘Public Art presence’ in the city and initiate conversations on its role in vitalizing the environment. Art, the city and its people will always be at the core of our initiatives. 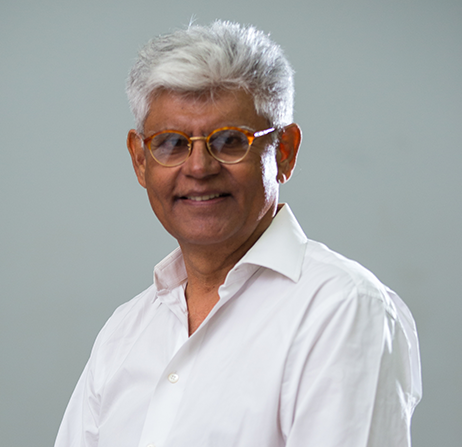 has primarily worked with not-for-profit organizations including 14 years with Aga Khan University with the last held position of Associate Dean, followed by stints in Kenya and Pakistan as CEO of school trusts managing their school networks. His strengths lie in developing strategic programs and managing their implementation. He enjoys working in multi cultural environments. Almas believes that art in all its manifestations not only reflects society but can provide a vision for its positive development. It should be a harbinger of change in an open society. 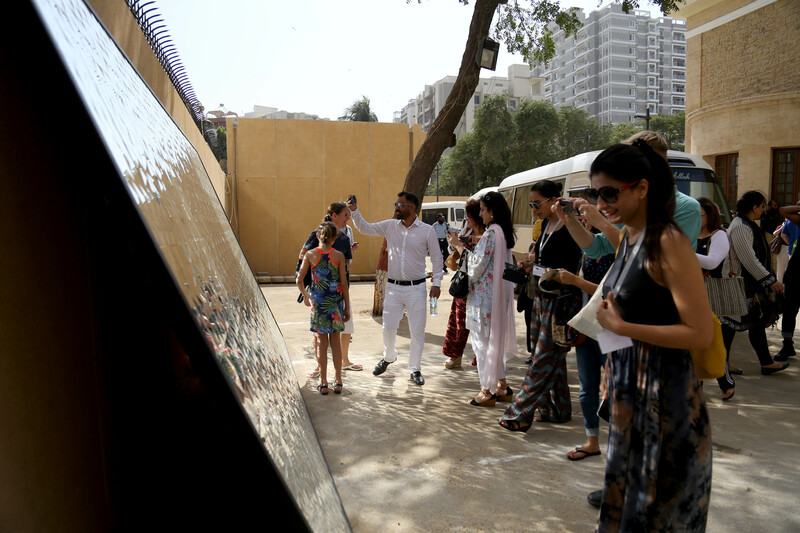 Involvement in the Karachi Biennale provides him with such an experimental opportunity. Almas has B.Sc and M.B.A degrees from Pakistan and Certificate in International Management from Boston University, USA. 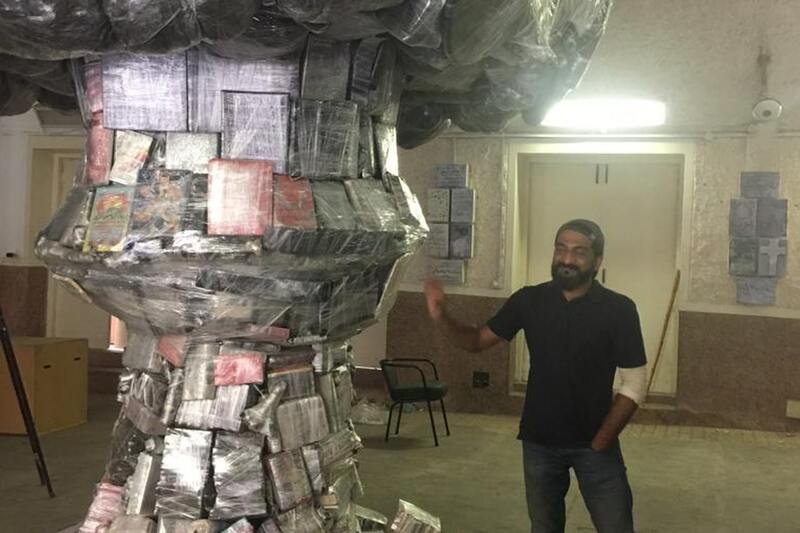 Niilofur Farrukh is a Karachi based art interventionist whose seminal initiatives have expanded the space for art publication, curation and public art. A longtime advocate for an interface between art and public audiences, she has curated exhibitions like No Honor In Killing that toured 5 small and big towns in the country for two years. She has contributed as the Pakistan Commissioner at Tashkent Biennale, Asian Art Biennale and Kathmandu International Art Festival. 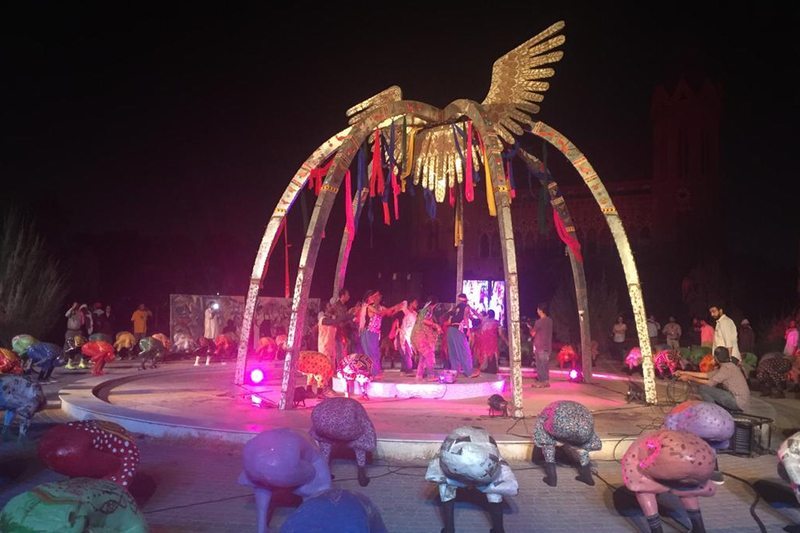 In Pakistan, she co-founded ASNA and co-curated four iterations of ASNA Clay Triennials, the longest running Triennial in the country to connect to reclaim the craft-art continuum. 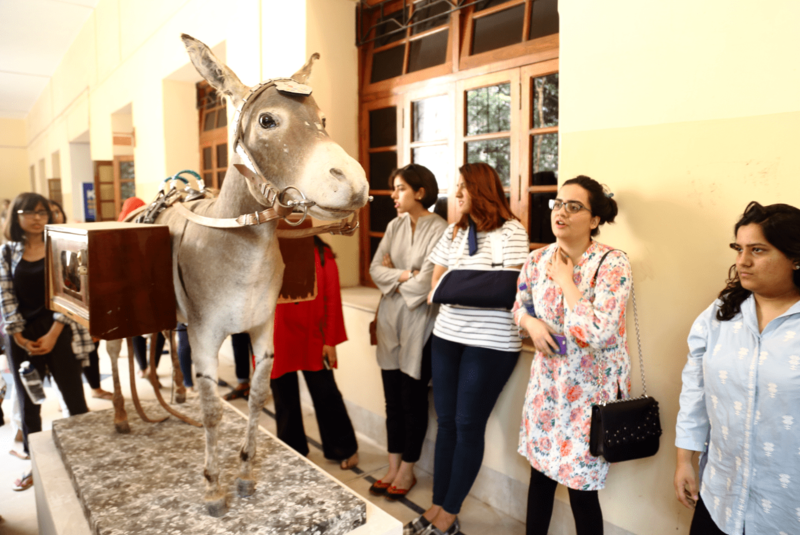 In 2017, along with a group of colleagues she established the Karachi Biennale to instrumentalize art to connect a fractured city to itself, and the world with the country‘s largest international art contemporary art event. 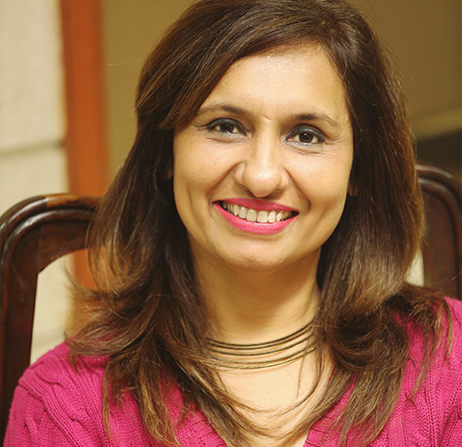 She is the CEO of Karachi Biennale and Managing Trustee of the Karachi Biennale Trust. Niilofur co-founded NuktaArt and served as its Founder Editor for the ten years it was in publication (2004-2014). 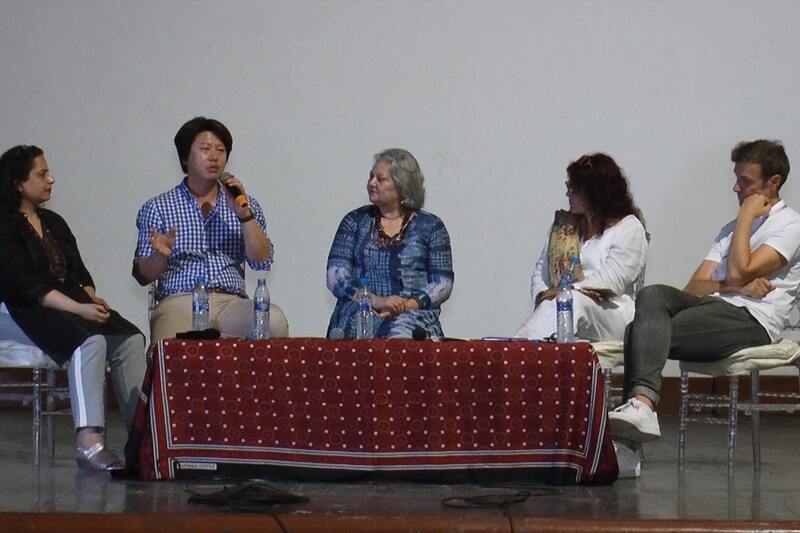 Her book Pioneering Perspectives on pioneer women artists was aimed at countering the anti-women political narrative of the 1980s in her country. 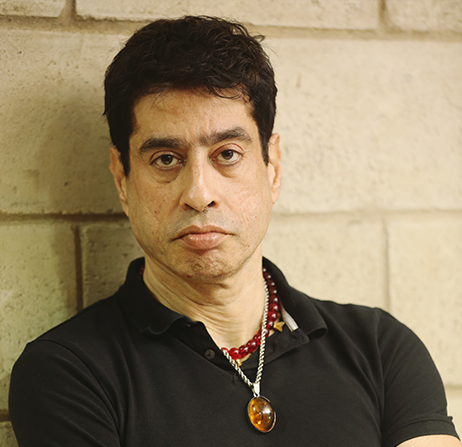 Niilofur is the President of AICA Pakistan and has served on the International Board of the International Art Critics Association. She has written extensively for national and international publications. Her second book' The 70s Pakistan's Radioactive Decade: An Informal Cultural History of Pakistan (co-edited with Amin Gulgee and John MacCary will be launched in early 2019. 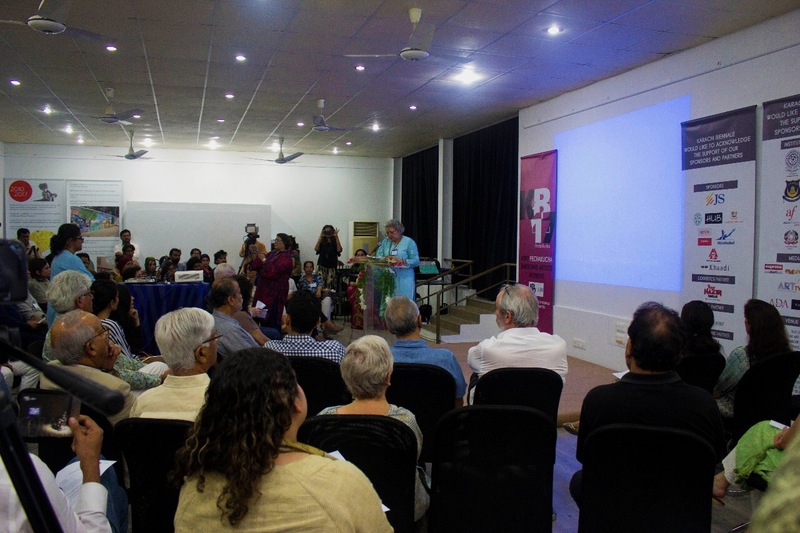 'A Beautiful Despair', a book on eminent artist Meher Afroz (edited) also expected to be out in the first quarter of 2019. At present, she is researching the art history of Karachi for a book. is a Karachi based freelance fine art consultant, curator and researcher. She holds a Bachelor of Fine Arts from the National College of Arts, Lahore. 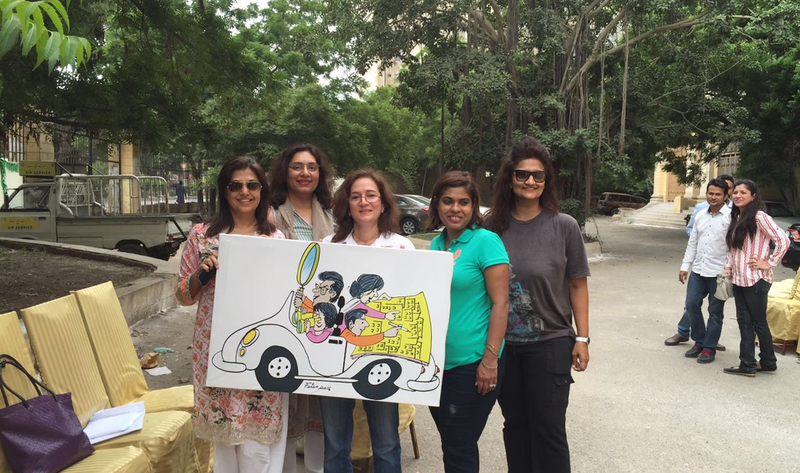 During her studio practice she has worked on commissions for the Pakistan Navy and private collectors. 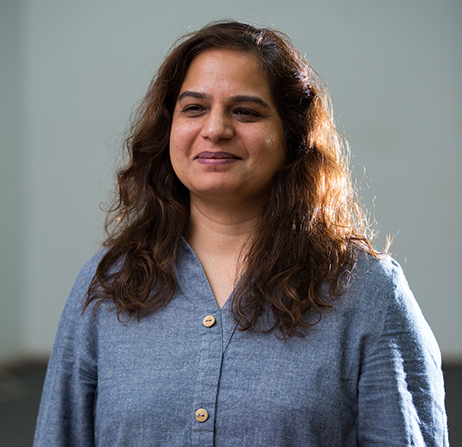 Since 2006 Bushra’s expertise has been in Fine Art Administration and Gallery Management, having worked with some of the leading non-profit and commercial art galleries in Karachi; VM Art Gallery, ArtChowk the Gallery and Canvas Gallery. She works independently through her consulting practice; Art Advisory. Atteqa Malik is a freelance digital artist, scholar and cultural operator. She graduated with an MA in Media Studies from the New School University, New York in 2002. 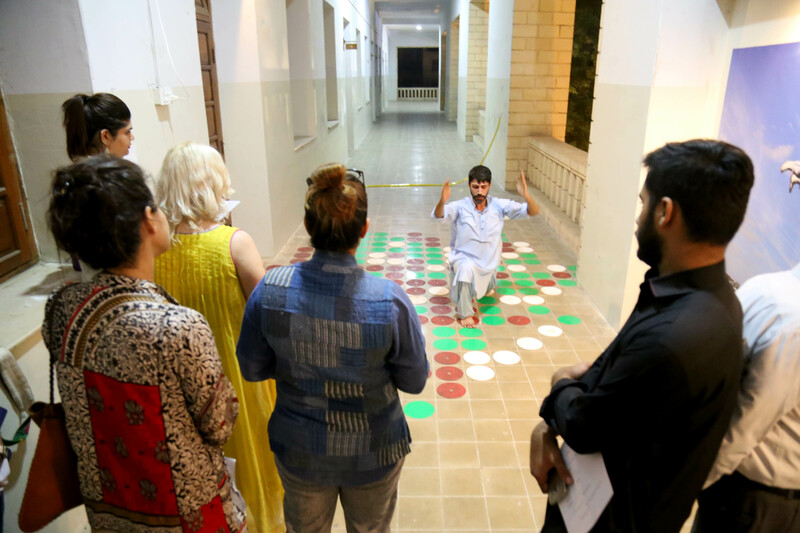 As one of the founding members of Mauj, a media art collective in Karachi, Atteqa participated in and jointly organized, a number of workshops and activities related to new media since February 2008. She was on the International Review Committee for ISEA (International Summit of Electronic Art) 2010 held in Ruhr, Germany. Her submission to Imagining New Eurasia Project has been selected to be displayed with 88 artists at the Asian Cultural Center in Korea and online till July 2016. 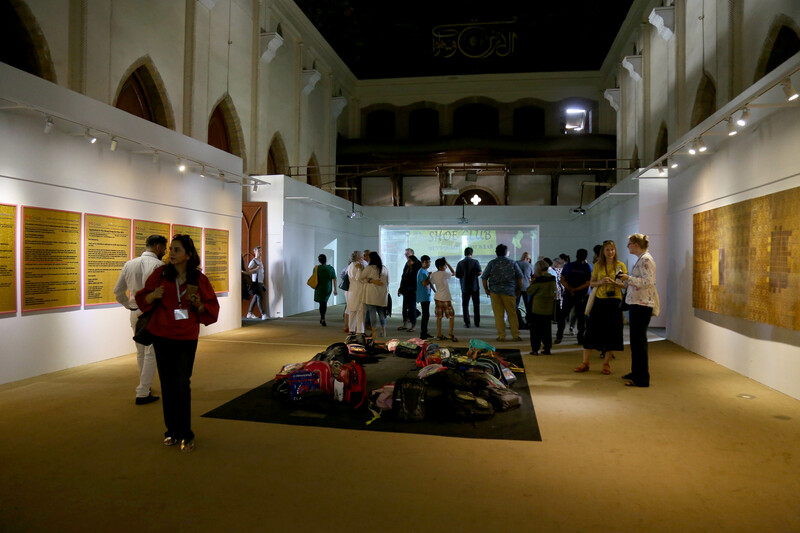 As Chair, Global Outreach of Karachi Biennale Trust, Atteqa coordinated educational and art collaborations between Karachi institutions and Berlin digital activists Wolfgang Spahn and Stephen Kovats, Manchester Art Gallery, The Tetley and Canadian media artist Faisal Anwar during 2016 and 2017.
has worked as a sculptor from his studio in Karachi for more than two decades. A graduate of Yale University, he received a BA in Art History and Economics in 1986 and won the 'Conger B. Goodyear Fine Arts Award' for his senior thesis. He has exhibited extensively both at home and abroad, with more than 30 solo exhibitions and several international group shows. 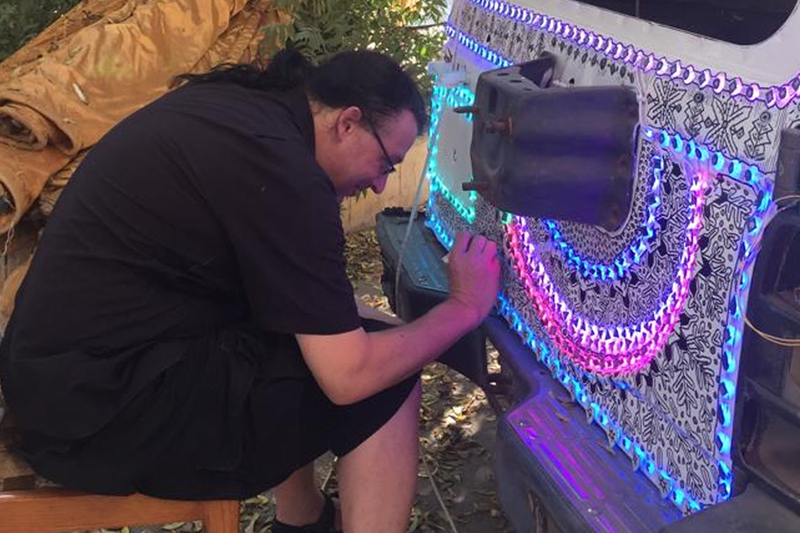 The artist is also known for his performance works and has been active as a curator since the late 1990s, conceiving large-scale exhibitions at the Karachi Sheraton, and at the Amin Gulgee Gallery. Amin has received numerous awards, including the President’s Pride of Performance in 2005.
is a Valedictorian Commonwealth scholar. She holds a Civil Engineering degree along with a Bachelor in Education and a Master in Education and International Development from the Institute of Education, UCL. 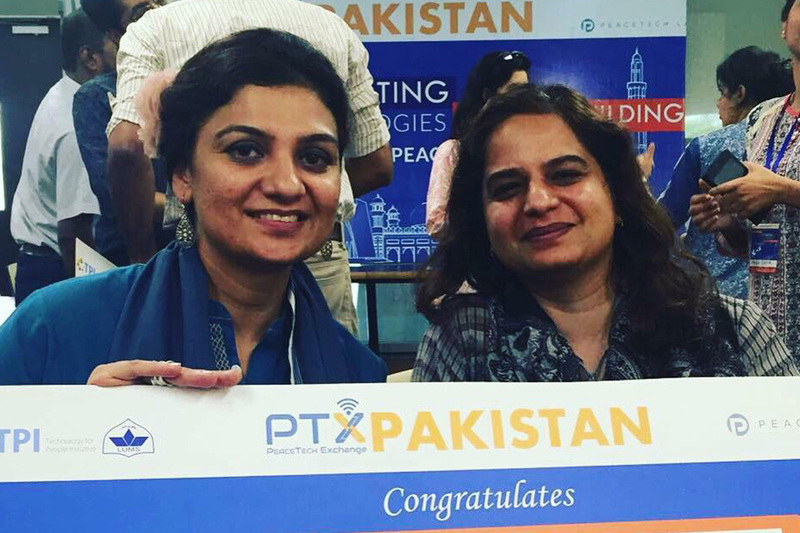 She is the Head of Department of Continuing Professional Development at the Karachi Grammar School, College Section. She is a CIE PDQ Programme Leader, has authored scholarly articles on education and development and also teaches A and O Level Mathematics. 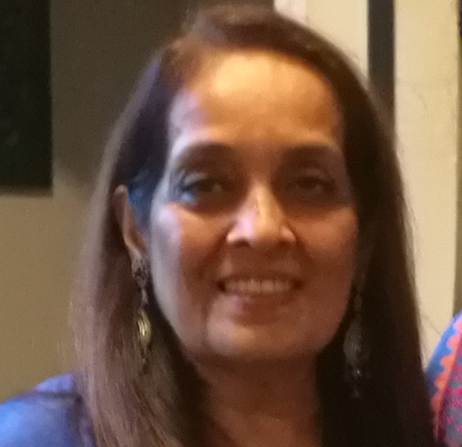 Ainee is an external mentor at the IBA, Chairperson Marie Adelaide Leprosy Centre Fundraising Committee, Member Development in Literacy, Member, College of Teachers, England. She runs a successful furniture, interior designing and event management company. 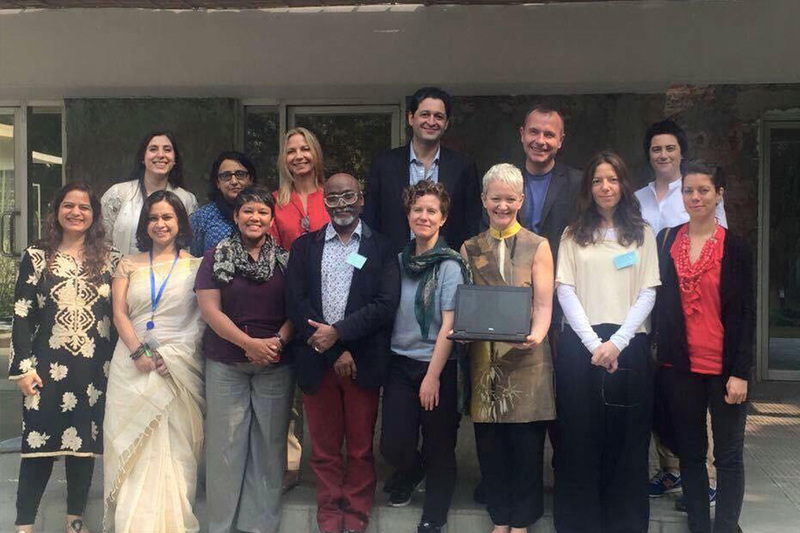 She has pioneered educational change by teacher development in many under-privileged schools. 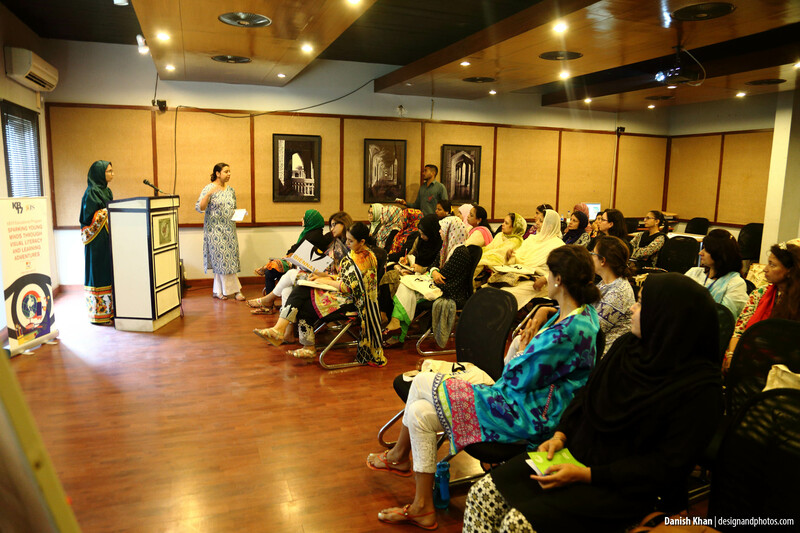 She was recently acknowledged as the Top 100 Women of Pakistan in the Ponds Miracle Woman celebration. She is an avid art collector. has worked in the challenging field of design and advertising both in Pakistan and in the USA and received an award at the Art Direction magazines ‘Creativity Show’ in New York for her calendar design. Her logo design for Interwood Pvt. Ltd a furniture company, has withstood the test of time. 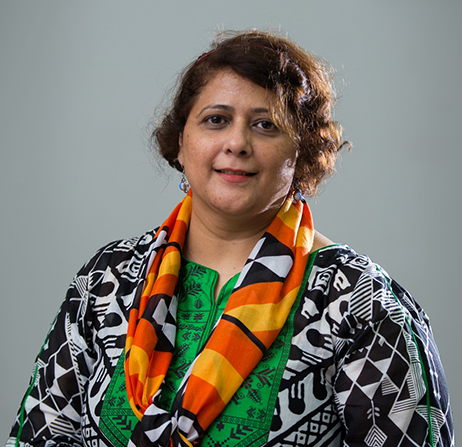 She is also a visiting faculty at Indus Valley School of Art and Architecture and is working on her dream project, setting up a 'Visual Arts College’ at the newly adopted campus of the 180 year old heritage site ‘NJV School’, by ‘Akhuwat’ a non-profit organization of which she is the Co-Chairperson of their Core Committee in Sindh. Besides arts, she also manages ‘Hennys’ her sandwich deli. 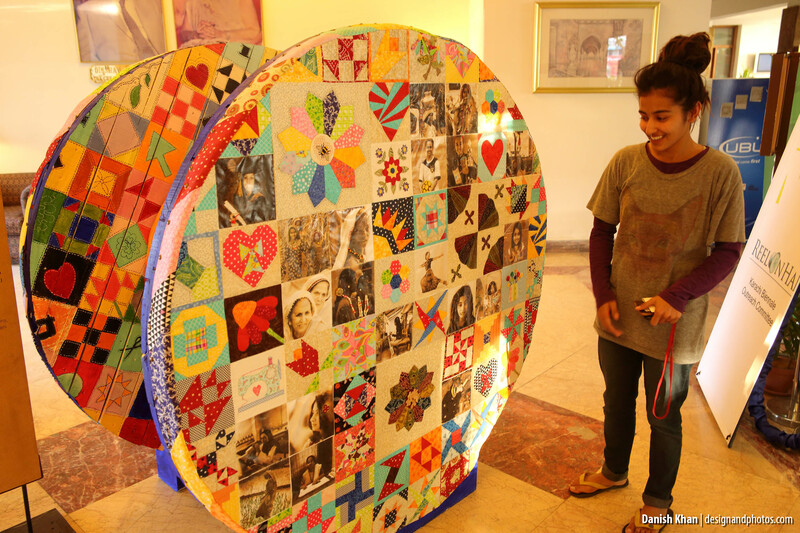 is the director and curator of VM Art Gallery, Karachi, and a leading art space of the country. It is a concern of the ZVMG Rangoonwala Trust. 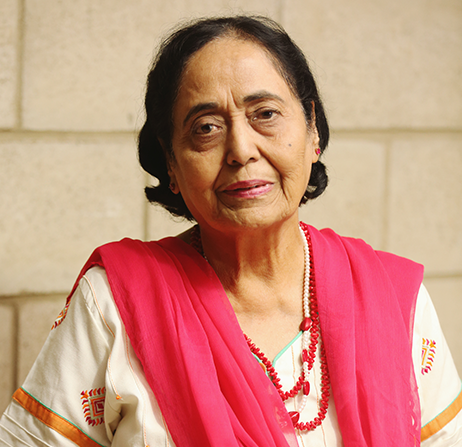 Riffat has been practicing as an artist for the last forty years, having graduated from Karachi School of Art. 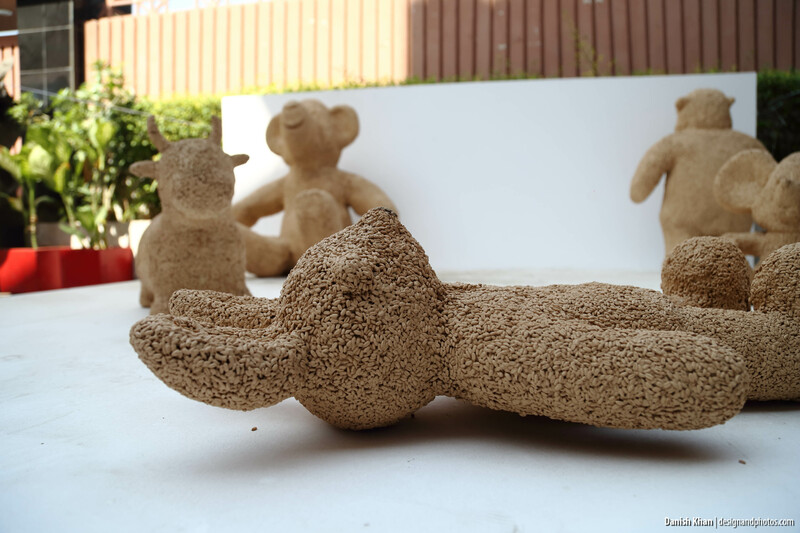 She has worked on projects of UNTAD GATT, Geneva, for craft development in collaborations with Sindh Small Industries, Pakistan, and is the only artist in the country, known to work with the natural earth and earth pigments as a medium. 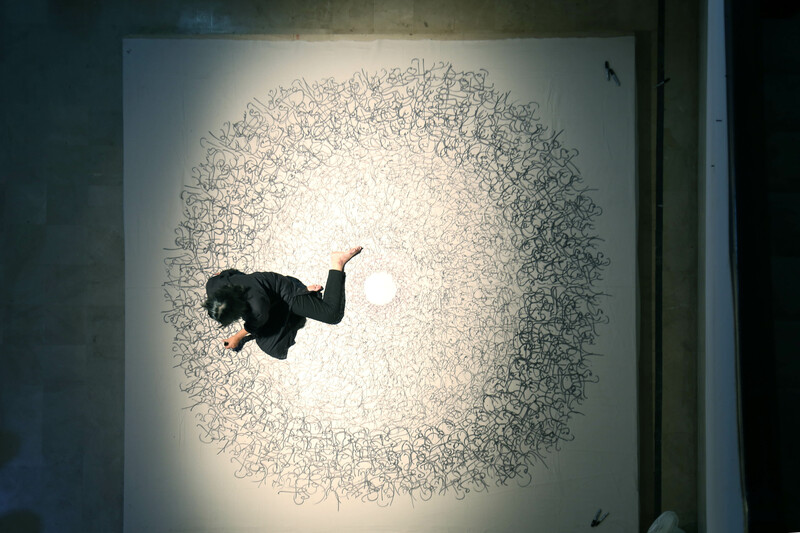 Riffat Alvi has many exhibitions to her credit, having traveled widely for workshops and residencies around the globe; a distinguished resume of both national and international shows. 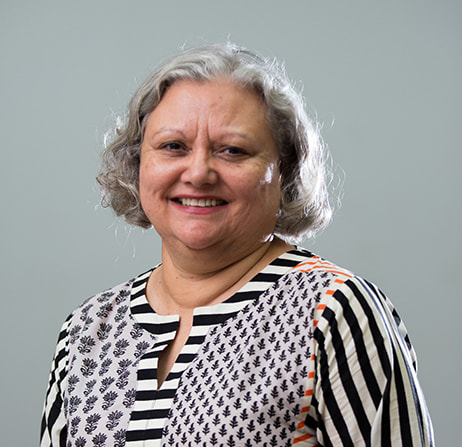 At the helm of VM, Riffat has been a pioneer in promoting emerging art and artists, regional and international artists and exhibitions through her rich gallery program for the last twenty-eight years. Her constant strive and passion for art education and creativity, while keeping up with global trends in the field of visual arts has pushed the VM Art Gallery to great heights. 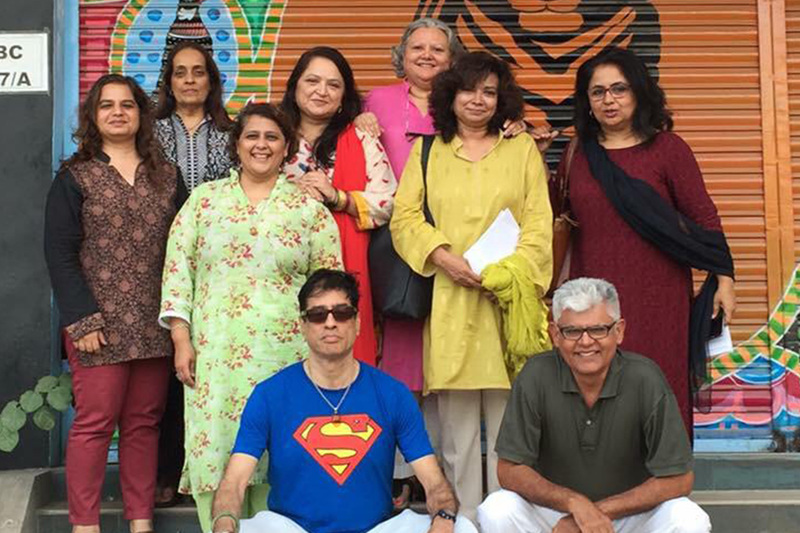 Friends of KB19 is a vibrant group that supports Karachi Biennale, Pakistan’s largest contemporary Art event.